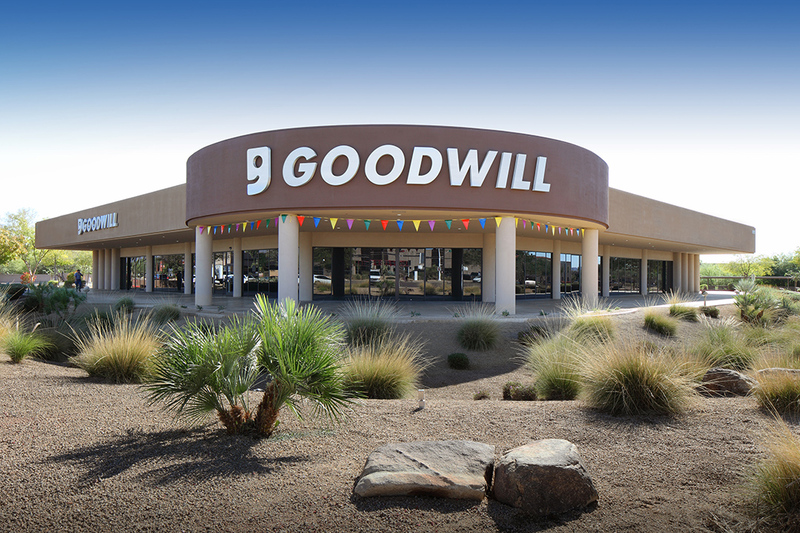 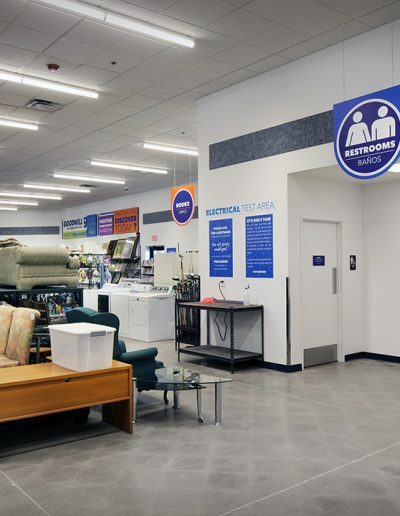 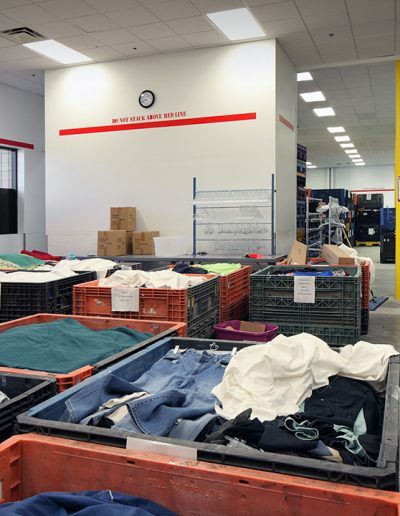 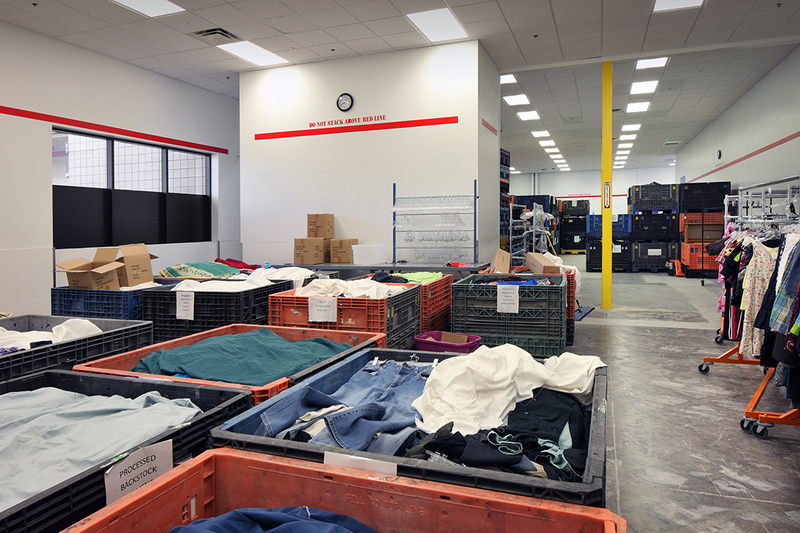 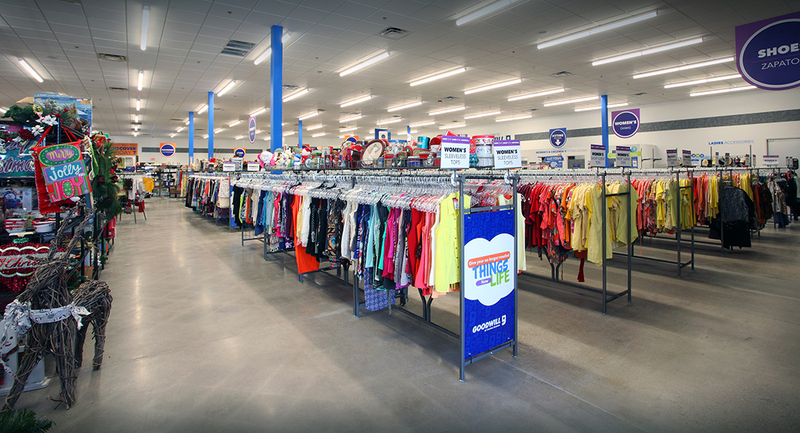 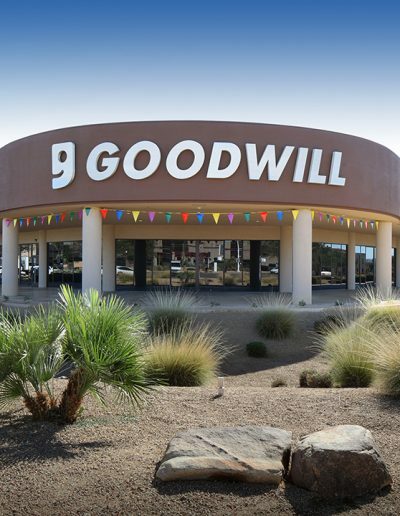 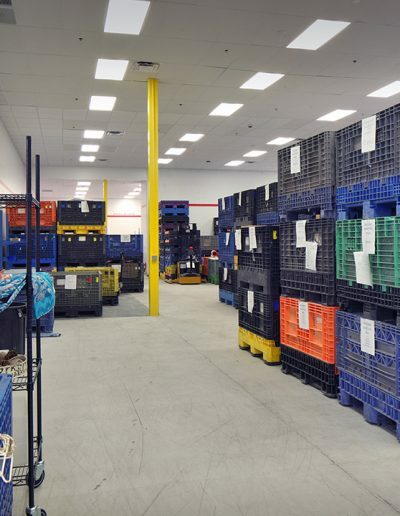 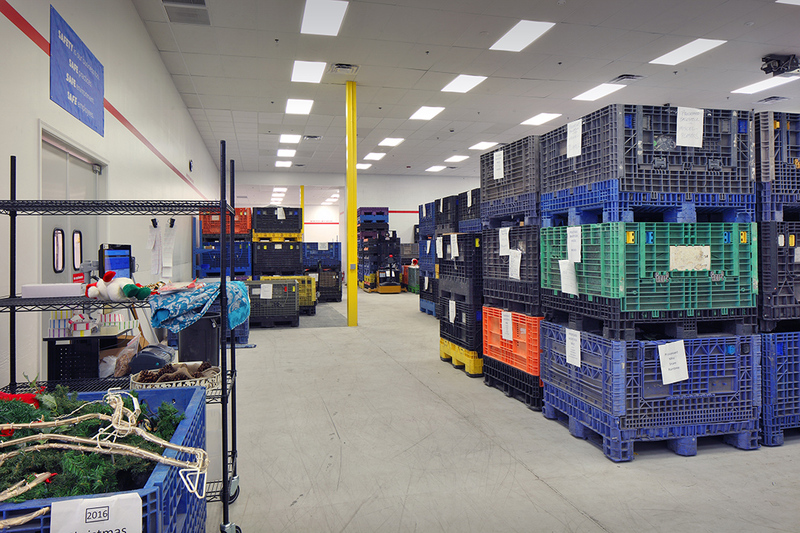 GCON was proud to be part of the Goodwill project, knowing their impact in the community. 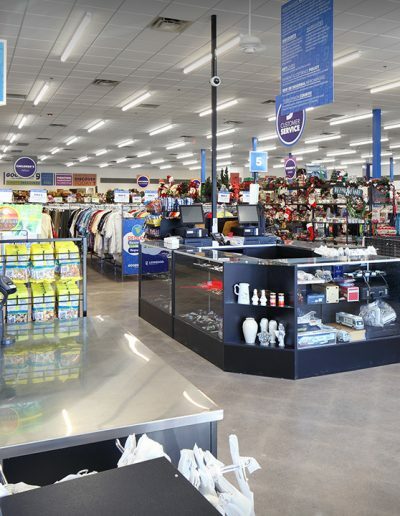 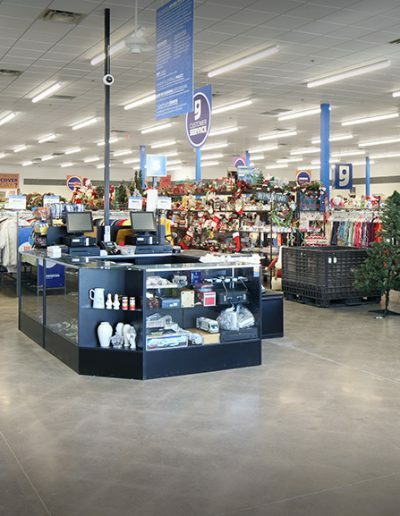 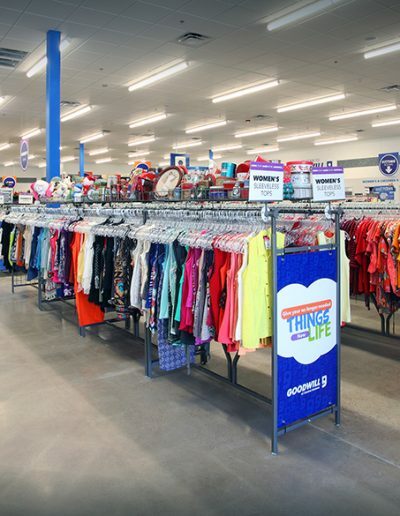 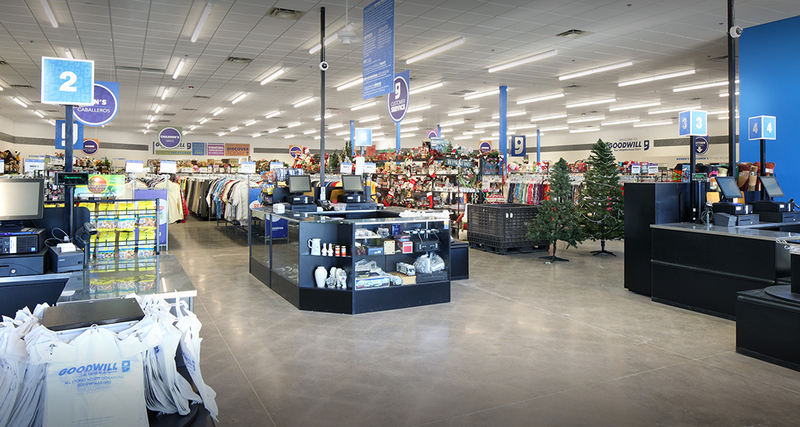 This new Goodwill location was a former exotic car dealership. 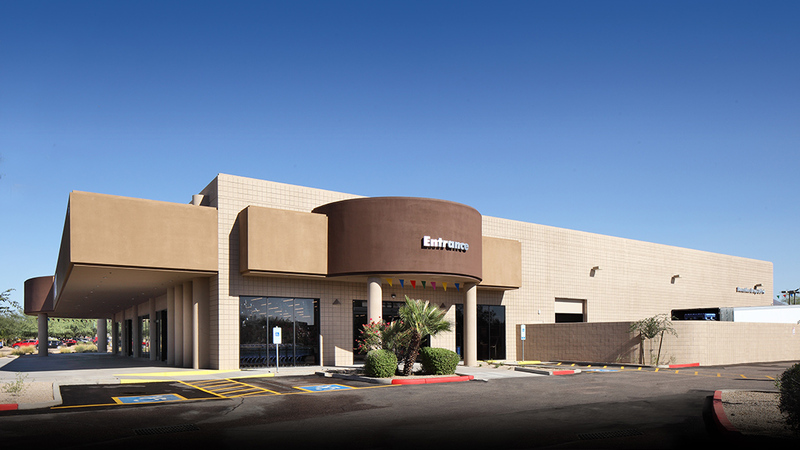 The project started with demolition to the raised office in the center of the building. 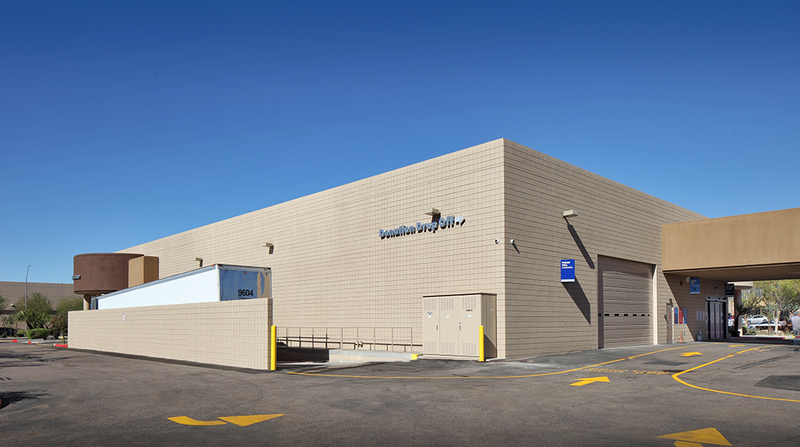 A wall was added to rear of building in order to create a stock room. 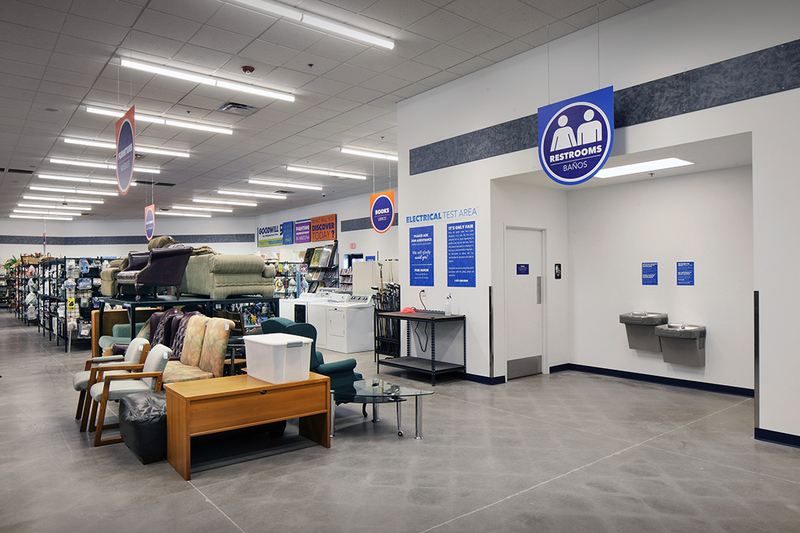 Storefront modifications included the addition of fitting rooms, breakroom, IT room, managers office and restrooms. 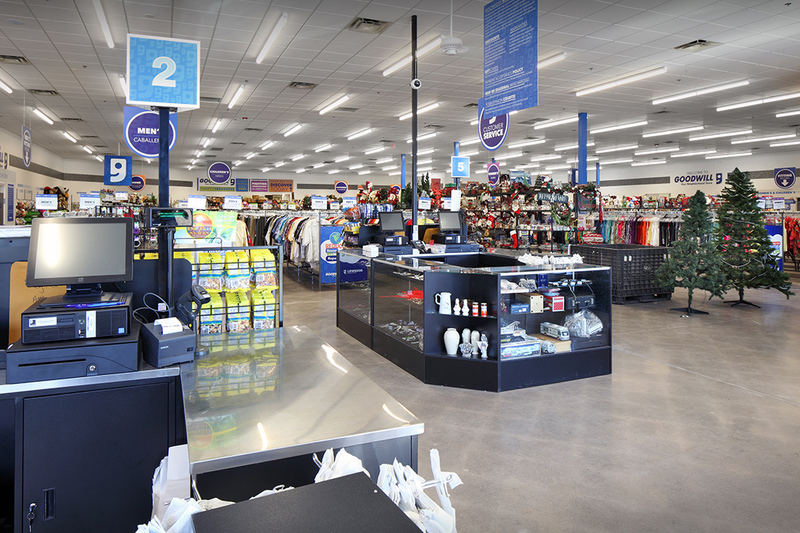 New lighting was installed throughout. 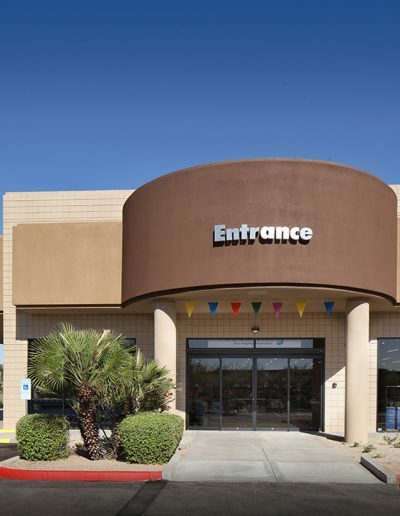 The main entrance door was removed and widened while four front windows were blocked out to offer additional shelving. 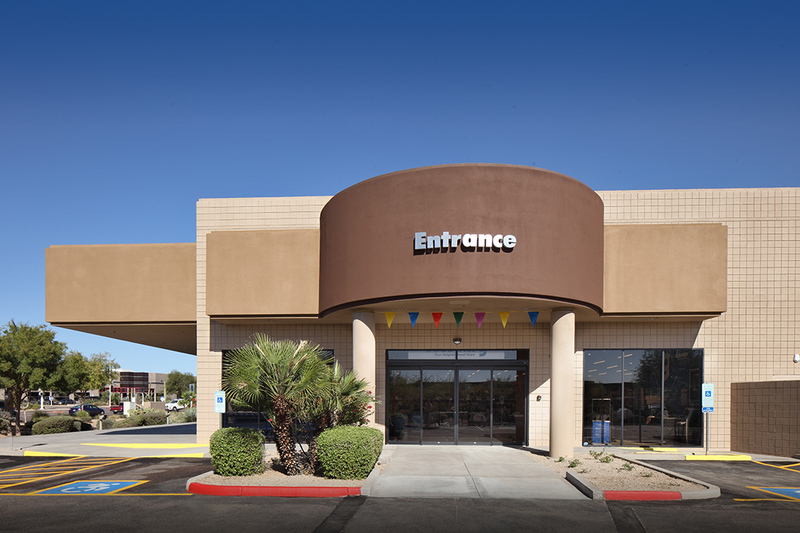 Sliding doors and ceiling tile from the dealership were reused, offering cost savings to the client. 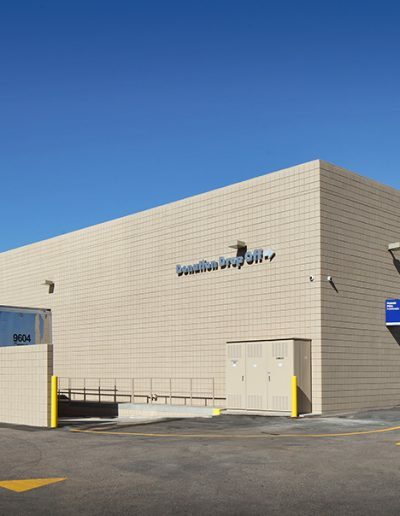 Exterior changes included a new loading dock, roll up door and parking configuration when the detail shop was removed from the lot.